Dr. Moore is a transplant, hepatobiliary, and general surgeon at St. Thomas Health, where he is the Director of the Kidney Transplant Program. His clinic interests include all aspects of abdominal transplant surgery, hepatobiliary surgery, open and laparoscopic donor nephrectomy, vascular access, and general surgery. His research interests include studies of health-related quality of life, cost-effectiveness, and recipient and donor matching in solid organ transplantation. 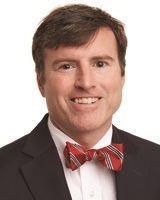 Dr. Moore received his undergraduate and medical degrees from Vanderbilt University. He completed his general surgery residency at Vanderbilt University Medical Center and his transplant fellowship at the Hospital of the University of Pennsylvania and the Children’s Hospital of Pennsylvania. I am an avid runner and participate in marathons.